The day started out with a ride back to town for breakfast at Subway. I turned into a bike shop to check my tire pressure. Front tire at 40 pounds… another slow leak??? Double-ugh. Turns out, there are two Subways in town, Brian ate at one, we ate at the other. 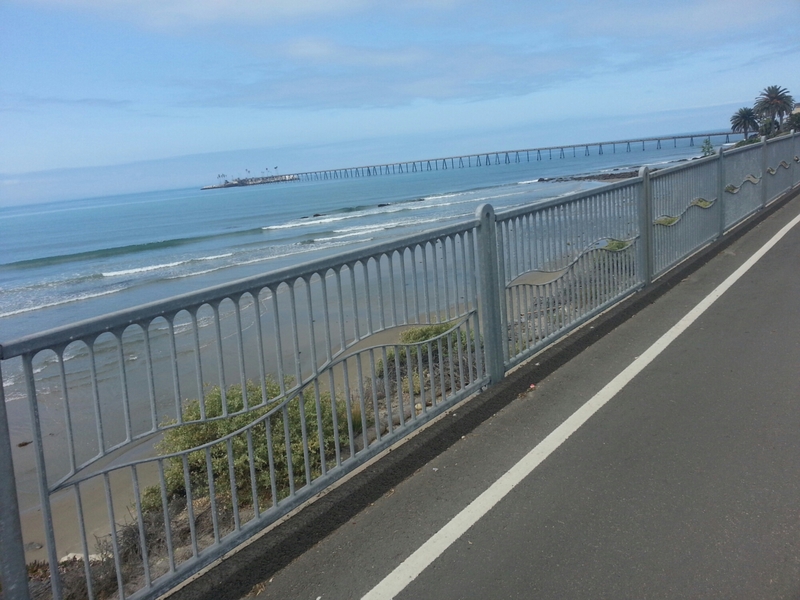 The start of the ride was nice, a bike path along the highway. Naturally, the wind was from the west and the coast here is actually east-west for the most part. We rode through Carpinteria and into Santa Barbara, past not one, but two polo clubs. We stopped briefly on the beach and decided to go on to Goleta, home of UC Santa Barbara for lunch as Bob was fixated on an authentic Mexican meal for lunch. We found a place where we were the only non-hispanic people. Flautas for me. Pretty good. Bonus, the UEFA Champions League final was on the TV. Our original target was Gaviota State Park but Bob had a response from a Warm-showers host in Solvang with the enticement of beer tasting. 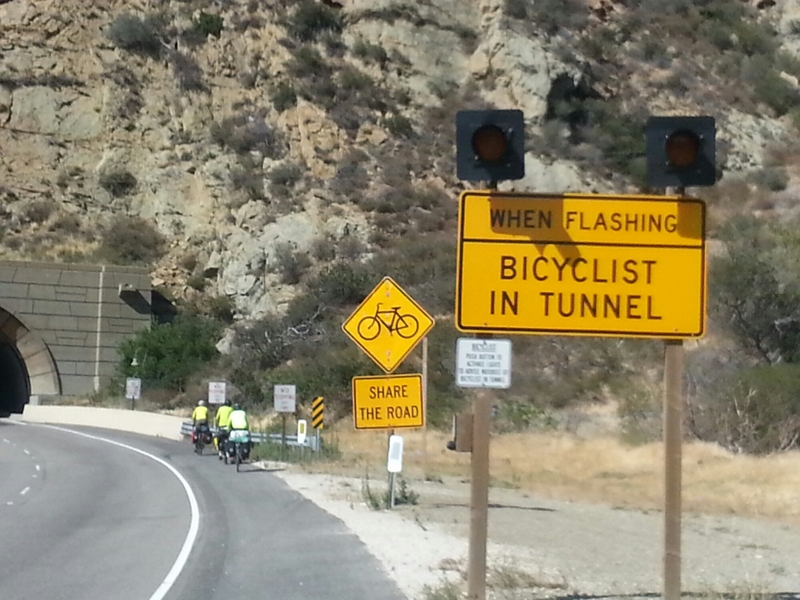 That meant we had another 20 miles to ride, up a step climb inland. Brian, not so onboard with the plan. We had our first tunnel. The climb was long, averaged between 5.5 and 7.5% grade and was hot now that we were away from the coast. At least we weren’t into the steady wind we fought all day. At the top, we took a turn onto Old 101. It was old… hairpin turns down a worn out road. It out us onto Alisal Road which was the most enjoyable ride of the afternoon, rolling tree-lined country roads. We stopped at a market to get beer to share with our hosts Tad and Anna, and four guests they had over for pasta and beer tasting. The of us headed one way, Brian another (see a theme here?) Both groups ending at their house. They had horses and chickens in the front yard, and a very comfortable house. Tad is a math teacher, Anna a software QA mgr. We ate, tasted and talked until 11:00. Great people and a good end to the day. A 76 mile day, seemed a little harder due to the wind and the late day climb. OotD: Californians seem divided on whether there is really a water shortage or whether it is just a ruse to charge more for it.